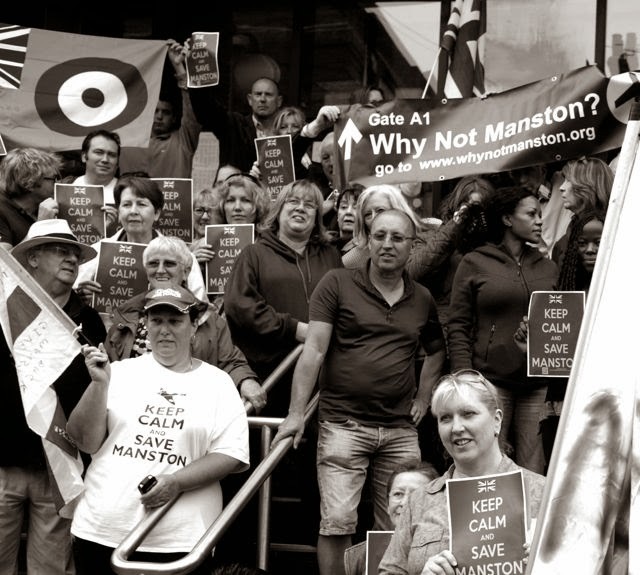 The fate of Manston airport is a very sensitive matter this week, with its new owner, Ann Gloag, scheduled to meet our Council Leader and possibly our Members of Parliament, tomorrow, Friday, in Margate. I have been speaking with several national newspapers interested in what they see as a bigger story, where a small and deprived community becomes a helpless victim of big-business profiteering at its worst. However, I do believe its better to leave the investigative journalism to the greater resources of Fleet Street and not Garlinge and it's certainly not, in my opinion, a wise idea to float highly inflammatory allegations, twenty-four hours in advance of a delicate negotiation with the airport's new owner. The timing could not have been worse unless the objective was to throw sensible diplomacy out of the window and simply to create a tense atmosphere of acrimony and allegation with a suggestion of 'fraud' thrown-in for rhetorical good measure. The #SaveManston debate is hugely important to a great many people on the island, who see future opportunities for an already impoverished and struggling local economy, pulled-out from under our feet by plans to build a 1,000 house or even a 'Garden City.' If we were sitting at a poker table then we would be holding a very poor hand indeed but the Council, as the player of last resort, has a CPO up its sleeve but needs the right circumstances and support to play it. I know people feel very strongly indeed about what has happened so very swiftly in the last month, as I do too. But we need to find a 'Keep Calm' solution with Mrs Gloag and not a confrontation; so please, no 'Burn the Witch' posters waving outside the Council offices tomorrow and let's do all we can to express how we feel about saving our airport from housing blight but not in the same excitable way that that a small group welcomed Nigel Farage. I was at last night's Police and Community engagement meeting in Birchington last night and was disappointed to see that aside from Council Leader Iris Johnston and UKIP, KCC leader Roger Latchford, I was the only councillor present. Local crime and anti-social behaviour issues were discussed, such as the prolific beach-hut vandalism along our coastline but I did want to share with you the police warning of an increase in burglary in Westbrook, Westgate and Birchington. Please be sure to attend to your own home security, take extra precautions and don't fall victim to burglars. At the same time, there are lots of telephone and internet scams in circulation and I've come across a couple myself. If you get an unsolicited call from an Indian call-centre, you should be particularly cautious, as they frequently appear to have discovered a virus on your PC and want to help. Don't believe it for a minute! In fact and this may surprise you, on average over 100,000 new computer viruses are now appearing each day and the anti-virus industry has finally conceded it's lost the battle. I don't actually use anti-virus software on my PC anymore; I'm just very careful about the websites I visit and I never open email attachments from people I don't know or follow web-links in emails either. If you are equally cautions then your chances of being compromised remain relatively low. Given that the first garden cities (Letchworth and Welwyn Garden city) were approximately 4000/5000 acres then at 700 acres Manston would struggle to be called a garden village, unless the plan is to swamp Minster, Cliffsend, Pegwell and Monkton with houses too. I know you are a pilot and used Manston a lot before its closure. So don't you have a conflict of interest? What doe's pro-manston lot want to happen with the airport if a CPO is granted do they want to reopen it as a airport? You must have some idea to the cost of this to the tax payer and what would be the benefit to the tax payer 150 jobs? It would seem to me a lot of hype and a lot of expense just for you to get your landing strip back. I think the real problem is whats going to be built on the land and thats where we can all sing form the same song sheet. There are 700 acre's of land if TDC offered AG an easy ride if she built half acre plots with detached house's then I think we would be all happy. You could argue that we have enough affordable housing in Thanet and we don't need any more. Instead of trying to get a CPO that will never happen unless TDC want to pay 100s of millions. Well, just thought I would give you my opinion. I dont think im the only one that thinks like this. 10:04 - I have no conflict of interest as while I may use Manston from time to time in the winter, I'm based elsewhere. Any idea of how much a CPO would cost and what you would want to happen after one is granted? Well done Simon for your good work. The councillors who want housing at Manston will more than likely be voted out at next year's local elections. "... I never open email attachments from people I don't know " What about from those you do know, they may not be as careful / aware as you and surely that's risky ? Having no anti virus at all seems an odd strategy, it's true AV won't catch everything but it can help ! 10:04 it does look increasingly likely that you are the only one who thinks along the lines of your comment. Elsewhere all political groups seem to be united in their efforts to save Manston whatever their historical stance may have been. I agree with Simon, that sensible negotiation, without acrimony, has to be the way forward, but the end product, at this stage, is anyone's guess. Hi Simon, good to see you are not stoking the fire and promoting dialogue with said owner of 700 acres of Thanet. I don't think the lady is for turning, but good luck to TDC in their discussions with her and I hope they don't give her one option only, that will be bad for everyone in Thanet. To your point about big biz trampling on poor area, surely Pfizer had a bigger impact on the area but got half the attention of our local politicos. You've got to admit that has more to do with emotions around WW2, the potential, of being in Benidorm in 2 hours from your living room verses hard-on pills being created in a laboratory. I'd also ask yourself why some seaside towns fair better than others. I take it no answer then????? 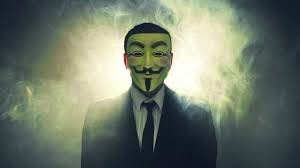 Simply because, A, the bad guys have now changed their attack vector beyond simple AV to sophisticated blended threats and B)with as many as 100,000 new variants of viruses appearing each day as part of an automated threat, the vendor promise is as only as good as last month's update if you are lucky. AV, now with several million lines of code trying to catch all the new threats, now also slows your PC down to a crawl. Personally I do not think a CPO is the way forward. TDC already owns and operates a Port which seems to continually cost the tax payer a small fortune to run and maintain without a ferry operator of any worth considering it a viable port to operate from. I'd like to see that sold off ASAP to stop the sheer waste of tax payers money keeping it running. I would prefer to see an experienced operator with some history of running what will always be a predominantly Freight based business. Regarding recent "coverage" by certain people with head cover I wish he'd keep well out of it and let the proper Journo's do their thing. It puzzles me why the anti Manston airport commentators are invariably short on truth, venomous and anonymous. I suppose the first two explain the latter. Noticed the big radar scanners weren't still turning on Thursday afternoon.